A documentary about the impact of human papilloma virus (HPV) shows how cervical cancer affects ordinary families and highlights the value of the HPV vaccine. ‘If you don’t realise how dangerous this virus is then we’ll take you out to the cemetery and show you our daughter’s tombstone,’ says the father of a women who died of cervical cancer. 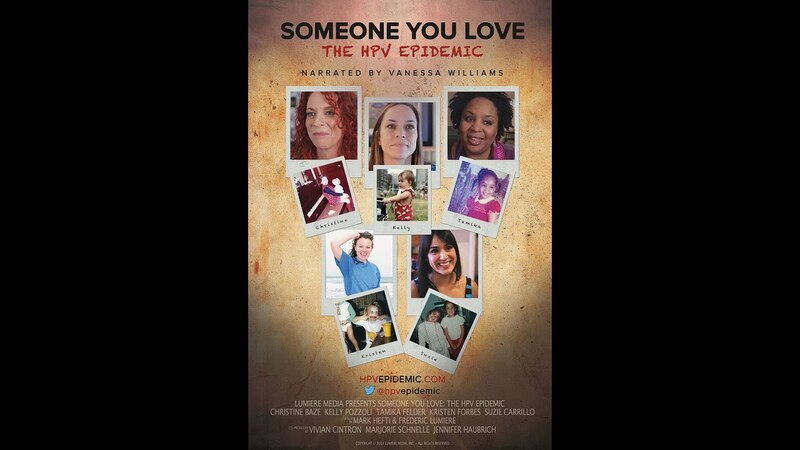 Emotional and informative, Someone You Love: The HPV Epidemic is an award-winning and critically-acclaimed film which has a notched up rave reviews from critics and dozens of testimonials for viewers. It even boasts a 9.8/10 rating on the Internet Movie Database (IMDB). The documentary features the stories of five women, including Kelly Pozzoli who allowed the film crew to follow her for two years – from diagnosis until her untimely death. The explanation of the science behind HPV, along with how to treat and prevent the diseases it causes, has been praised for its clarity. Filmmaker Frederic Lumiere says the film’s positive reception is set to be translated into huge exposure – something he hopes will help people to appreciate the grave realities of HPV infection. “The film is doing really well with more than 400 public screenings in the US but tens of thousands of screenings are around the corner,” he told Vaccines Today. This month public performance licenses will be made available for free in Pennsylvania, Florida, Delaware and Kansas. “This means every school, clinic, theatre and community centre in those states will be permitted to organise public screenings and discusses for free – forever,” says Lumiere. It has already been used as an educational tool for parents’ groups, teachers, health professionals and politicians and, for some US health professionals, continuing medical education credits can be earned by viewing the film and completing an online test. For the moment, European audiences can watch the movie on DVD and online but that could change later this year. “Translations to other languages are in the works, and an international rollout is in the plans,” says Lumiere.